Our healthcare professionals provide pediatric inpatient rehabilitation at Scottish Rite hospital to help patients reach their highest potential. The team uses everyday activities, which helps motivate children and teenagers. When it comes to your child or teen’s recovery, where you take them matters. 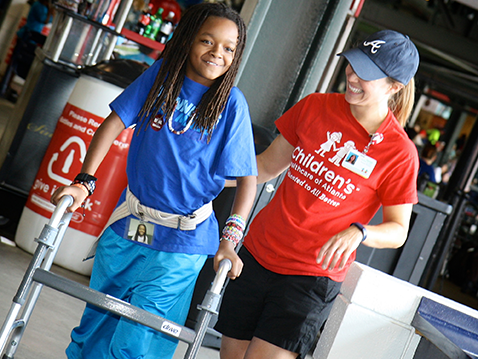 The Inpatient Rehabilitation Program at Children’s Healthcare of Atlanta is one of the nation’s largest pediatric inpatient rehabilitation programs and is accredited by the Commission on Accreditation of Rehabilitation Facilities (CARF), which has given us specialty recognition for our spinal cord specialty program, as well as our brain injury and pediatric specialty programs. Our highly skilled team uses everyday activities and individualized therapy plans to motivate children and teenagers recovering from conditions and disorders that impair physical, mental and cognitive functions. Patients travel from all over the country to have our rehabilitation experts help them reach their highest potential. Our goal is to help patients return home, to the community and to school as quickly as possible. Our Brain Injury Program helps children with brain injuries or other neurological conditions develop the functional skills they need to return home and to the community as quickly as possible. We provide an individualized, progressive treatment plan to help them succeed and reach their full potential. Our burn rehabilitation services address everything from partial surface burns to full and deep injuries. We provide individualized burn rehab—such as self-care, dressing and wound care—to help children gain the confidence and skills to regain function and independence. Therapy is a vital part of the physical, emotional, social and functional rehabilitation of our patients. 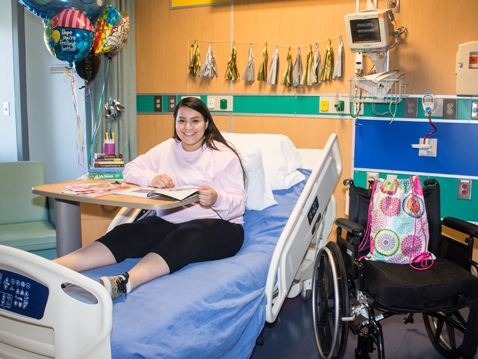 We provide specialized care for children and young adults who have a spinal cord injury and a corresponding brain injury, known as dual diagnosis. Patients with a dual diagnosis may experience physical and mental complications. They often need therapy to regain strength and mobility while working on possible learning and memory impairments. Treatment for pediatric dual diagnosis can be extremely challenging because a child’s growth and development has to be factored into his healthcare. To help patients return home with the highest possible level of function, our multidisciplinary team takes a comprehensive, aggressive and individualized approach that applies age-appropriate treatments. We provide specialized, intensive rehabilitation therapy to children who are medically stable and demonstrating a disorder of consciousness following a brain injury. Children receive medical care and therapy to increase responsiveness and function, and families receive extensive training in order to care for the child at home. Board-certified physiatrists lead a multidisciplinary treatment team that may include gastroenterologists, pulmonologists, neurologists, neuropsychologists, pediatric psychologists and neurosurgeons. We provide three hours of therapy to patients each day, allowing time for rest and structured activity. This allows for ample interaction and supervision with their doctors and therapists. 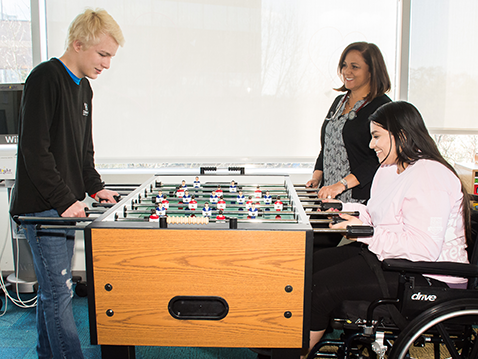 We provide specialized rehabilitation for children and teens with spinal cord conditions to help them regain independence and cope with future challenges. We are happy to speak with you about your child’s individual needs and how we can support their recovery. Our Cardiac Rehabilitation Program helps those with congenital (present at birth) heart defects and acquired heart disease increase endurance, regain strength, and reduce future health risks. One of only a few of its kind in the country, the pediatric program centers on exercise, education and functional skills. It’s suitable for children and teens with a history of cardiac disorders, such as heart transplant complications, cardiomyopathy, arrhythmias and cardiac arrest. We provide care for patients from birth to age 21 in all rehabilitation phases—acute, inpatient, day rehab and outpatient—and from early intervention therapy to at-home maintenance. We use age-appropriate methods to help patients achieve developmental milestones and return to active lives. Our child life specialists provide quality care for your child, as well as your family, throughout the hospital stay. This can include educating your child about illness, treatment, and surgery, as well as preparing any siblings for the hospital visit. The specialists provide support during procedures and attempt to normalize their environment through age-appropriate play and group activities. Our Driver Rehabilitation Program assesses a teen's ability to safely learn to drive or return to driving after an injury or illness that affects cognitive function, vision or physical abilities. It includes clinical and behind-the-wheel evaluations performed by a certified driver rehabilitation specialist. Patients may also participate in group therapy and peer support groups with other patients facing similar challenges and goals. These groups allow patients to talk about their injuries or illnesses and support each other during their stays. In addition, we connect our patients and families with former patients of similar age and diagnosis; this gives our families mentors to help throughout their rehab journey. Music therapy uses musical activity—such as creating, singing, playing or listening to music—to strengthen the physical, emotional, cognitive and social abilities of patients as part of the healing process. Our music therapists observe the way your child participates in activities to learn about his musical preferences, interest level and history. Your child’s therapist will use this information to develop a customized music therapy plan, which may involve treatment individually, in peer groups, with the family, or in other therapy sessions. 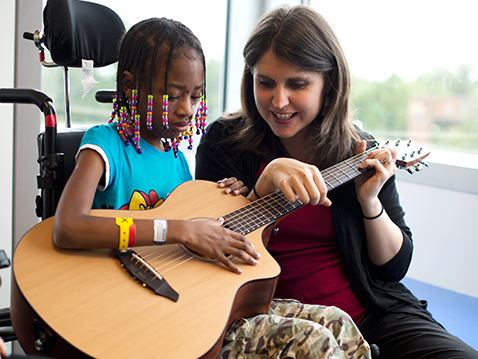 During therapy, your child might play musical instruments, sing or hum, or listen, move or exercise to music. He may also write or compose music or work with multimedia music resources. Occupational therapy teaches your child to do things for himself, like feeding, drinking and going to the bathroom. This includes working on physical, cognitive and vision problems that may have come from your child’s injury or illness. We offer behavioral health services provided by licensed pediatric psychologists with specialized experience in treating patients with rehabilitation needs. The services provided by our pediatric psychologists include, family education and training, individual one-on-one counseling for your child, and behavioral health support provided alongside our rehabilitation therapists. The goal of these services is to address behavioral health needs of your child, to provide holistic care, and support all aspects of your child’s recovery. Families are also provided with outpatient behavioral health referrals for treatment in the community following discharge. Children's Canines For Kids animal assisted therapy program helps ease anxiety and promotes shorter recovery times. Canine Assistants trains our service dogs to provide therapy, hope and healing by doing everything from giving loving support and company during therapy. The therapy dogs in our rehabilitation program are trained to assist in the therapeutic experience by helping patients move, communicate, and provide emotional support. Physical therapy is an important part of our program. Physical therapists help to improve your child’s muscle tone, balance, strength, endurance and movement through exercise and activity. These skills help your child to become more mobile. We have three gyms, including one specifically designated for teens, featuring age appropriate environments to encourage and motivate patients. Our gyms include specialized equipment for patients of all ages and sizes. Therapists incorporate age-appropriate games and activities, during therapeutic exercises and practice to keep our patients engaged and motivated, which helps each patient achieve the best recovery and outcome possible. Many pieces of equipment that are located in our gyms on the rehabilitation floor are also in our Center for Advanced Technology and Robotics. Team members will create an individualized treatment plan for your child or teen that incorporates a variety of equipment and therapy techniques to address their condition. As they progress through therapy and regain strength and function, we’ll introduce new equipment and exercises to help them continue to improve. Our dedicated team of certified teachers help patients and families navigate the process of communicating with the patient’s school during their stay, as well as facilitate the process of returning to school, advocating for any needs the child may have. Our speech therapists treat speech, language, thinking, and feeding or swallowing problems. We provide services for teens who require care due to accidents, illnesses or congenital (present at birth) defects. Our therapists help teens develop the skills they need to become independent adults. Children’s therapeutic recreation not only helps patients resume the activities they enjoyed before their hospitalization, it also introduces them to new activities. Playing in this way can be a profoundly healing experience. 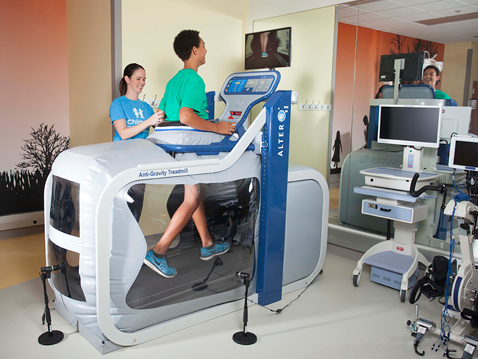 Individual treatment sessions give patients one-on-one interactions that improve their strength and endurance through active, healthy leisure choices. Group treatment sessions encourage social interaction among peers. Community outings: We also offer patients and families the opportunity to go on outings to a variety of locations in the community. Therapists coordinate community outings, which involve parents and caregivers, to match the specific needs of each patient. 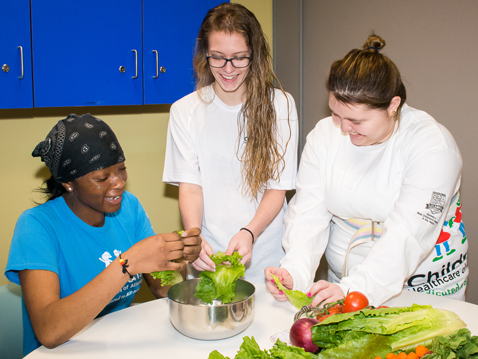 These events help patients discover their abilities, improve their functional independence, and learn new skills that will prepare them to return to school and other activities. A recreation therapist, a pediatric rehab nurse and other members of the therapy team participate in these outing to answer questions, provide assistance and ensure that caregivers feel comfortable in the community before their children are discharged from the hospital. These outings allow patients and families the opportunity to practice all they have learned during rehab and prepare for returning home. Therapeutic play allows patients to adjust to their surroundings and have fun as they participate in inpatient rehabilitation. Our Adaptive Sports Program helps those with disabilities find sports activities they enjoy and can play safely, such as wheelchair basketball, quad rugby or power soccer. Assistive technology can allow children and teens to enjoy a variety of activities and gain independence using devices such as adaptive video game controllers, sports equipment, fishing poles, toys, switch-operated digital cameras, bowling ramps and others. Your child will be offered a bath daily. Day rehabilitation: an outpatient program for patients ages four through 21. Patients attend Monday through Friday from 9 a.m. to 3 p.m. to work on improving their functional skills and independence while still being followed by our medical team. Rehab Reunion: Graduates of our Inpatient Rehabilitation Program and the Day Rehabilitation Program, and their families, are invited each year to attend the annual Rehab Reunion. The reunion is an opportunity for current and previous patients to celebrate their hard work and see friends who were part of their journey. This guide provides tips for taking charge of your health condition as you become an adult. Patients make great strides with technology in our Center for Advanced Technology and Robotic Rehabilitation. We understand the physical and emotional needs of young children and teenagers who are recovering from injuries and illnesses that require the intense level of care of inpatient rehabilitation. We also understand that the needs of a child are different than the needs of a teenager or young adult and customize our therapy and care accordingly. Many of our team members have additional training and special certifications in specific areas that help our team excel at managing the needs of pediatric rehabilitation patients, including recognition from the following organizations. When it comes to your child or teen’s recovery, where you take them matters. Here's how our care compares. Our team of rehabilitation specialists is led by pediatric physiatrists who are specially trained to diagnose, manage and treat young patients with acute and traumatic medical conditions affecting their functional abilities. All of our physicians are board certified in physical medicine and rehabilitation, and several are additionally subcertified in pediatrics and brain injury medicine. 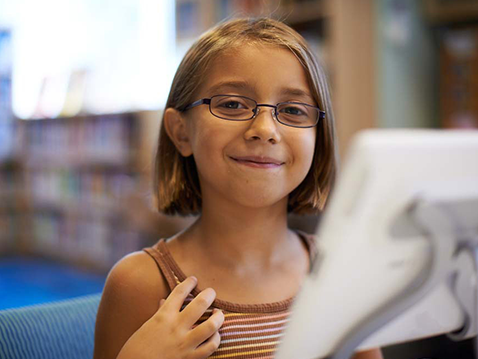 Our team of doctors follows your child throughout their recovery and provide care plans. 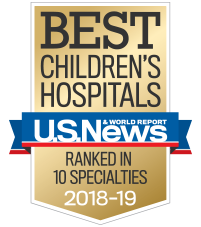 We understand and can accommodate the physical and emotional needs of young children and teenagers who are recovering from injuries and illnesses that require the intense level of care of inpatient rehabilitation. We also understand that the needs of a child or teen are unique and different than the needs of an adult and customize our therapy and care accordingly. Our team is led by Medical Director, Joshua Vova, MD, who is certified in brain injury medicine and helps guide our program. Each patient has a care team that makes daily visits, participates in family conferences and provides education to families. Additionally, patients have easy access to a range of pediatric subspecialists across many disciplines. Our team will works with each family to help provide a smooth transition throughout rehabilitation and returning home. There are many factors to consider when deciding where to send your child for inpatient rehab services. Here are some important things to keep in mind when making your decision. All of 28 outpatient rooms are private and can sleep up to two adults in addition to the patient. A family lounge area is available for parents/caregivers with a microwave, refrigerator and freezer. Washers (including laundry detergent) and dryers are also available. 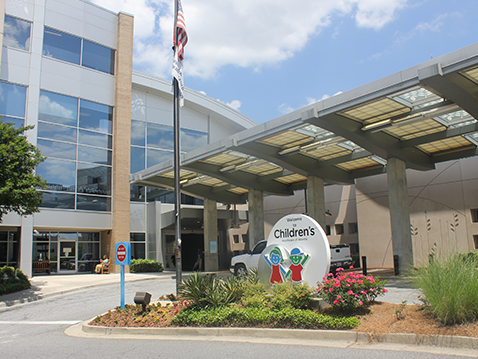 We offer inpatient care at Children’s at Scottish Rite hospital. We also offer day rehabilitation and outpatient rehabilitation at nine locations around the metro Atlanta area.